A sweet-scented compote of poached Black Doris plums, raspberries and black cherries with a spoonful of homemade strawberry conserve stirred in for good measure. A highly fragrant style of Marlborough Pinot with cinnamon and clove spiciness – a dense structure, generous palate weight and a long, lively finish. 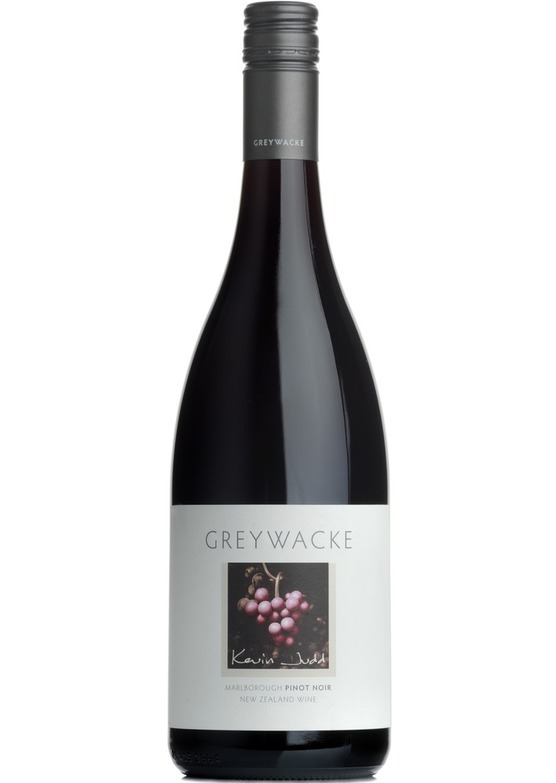 Greywacke is the wine label of acclaimed former “Cloudy Bay” winemaker Kevin Judd. Following the take over of Cloudy Bay by LVMH, Kevin looked to set up his own label to continue to express the incredible flavours that Marlborough has become famous for. The word “Greywacke” actually refers to a type of pebble that is found in the area. While the flagship wine of the label is the Sauvignon Blanc Kevin’s range now extends to Pinot Gris, Riesling, Pinot Noir and even a sweet late Harvest Riesling. However it is possibly his “wild Sauvignon” made using wild yeast rather than cultivated yeast that is the most exciting of his wines offering a fascinating contrast to all other Sauvignons in the region.